Going to Turkey took us 22 hours in the air not including 10 hours in transit between Auckland- Sydney-Dubai and Istanbul (Turkey) and same again on the way back. We left Auckland on the 6th July and arrived back in Auckland on the 20th July. We were met at the Istanbul airport by some of the organizers who took us with other teams arriving at the same time to our hotel accommodation (Atakoy Marina Hotel) for our entire stay. The 8th July was the Official arrival day and Registration day. You get your allocated boat and you fit it with all the blocks and lines, etc ready to sail the next day. Team Leaders had a meeting late that afternoon to meet the on the water officials and go through the programme for the next 10 days. Day 2 was scheduled for Training day and then Opening Ceremony later at 6pm. Everyone was ready to hit the water at 11am, the winds were good, average 15-18 knots with very strong current and very wet but warm 28 degrees Celcius. Eroni was out for 2 hours and had a good sail, got to meet some of his competitors out on the water, the waters in Istanbul was very dirty and full of rubbish.The Sailing Area for the Lasers course from the ramp was 3.2nm and 50m deep, it took 30-50min to get to the race area depending on the wind and current. Last minute change to the venue for the Opening Ceremony was because of the wet and windy conditions, so instead of the boat trip to the Golden Horn and then a march around a historical park in Istanbul, it was all inside a Ballroom at the Sheraton Hotel which was a very colourful and noisy gathering. Day 3 was scheduled for Practice Race Day and everyone had another chance to test the waters and their competitors again. The wind was not as strong as the previous day but still around 10-12knots was good for sailing. Day 4 was the 1st day of the Championship, Team Leaders met early to hear the weather forecast and programme for the day and any changes before the sailors get in the water. Sadly the wind was even less than yesterday 5-6knots, sailors launched at 10.30am with 1st race scheduled for 12pm, it took nearly an hour for the boats to get to race area, race 1 was delayed until 12.45 and it took 1hr and 15min to complete the 1st race, the 2nd race was the same but the wind was even less. The 3rd race was on hold to see if more wind was coming, we waited around till 5.30 then the race officer called it the day with wind dying making it a long day. Day 5 was 2nd day of competition and again Team Leaders met early to get the days forecast and programme, The wind was very light but they decided to send the sailors out anyway. They couldn’t start any races with wind dying, AP flag flying on the water with everyone waiting around to see what happens next. At around 3pm they decided to send everyone in to shore and wait there. Boats were pulled up the ramp and parked up, the sailors and organizers were getting frustrated with very little wind. ( not normal) At 5pm the sailors were launching boats again for the race areas. We managed to get one short race in in very light conditions and back to shore by 8pm. Six races were scheduled for the first 2 days but we only got 3 races completed by the end of 2nd day. Day 6 was a Lay Day, the Host Nation organized a boat trip for around 400 people to the Bosphorus waters, Istanbul city is divided at the Bosphorus waters with one side Europe and the other is Asia joined only by 2 long bridges, very interesting place with its architecture and culture, very warm at the moment similar to Samoas weather. Day 7 was 3rd day of regatta and again the wind didn’t come, everyone rigged up and no where to go so the AP flag flying on shore with everyone waiting for 2hourly updates. At 4.30pm they decided to send everyone out to the course areas. The light winds allowed the Laser boys to complete one race and the Laser girls race got abandoned and that was end of day three of the championship. Day 8 was 4th day of regatta and finally we got some breeze around 10-12knots with a strong current, still scheduled for 3 races, it took a while to get started with first race 12.30pm but 3 short races were completed and back on the shore by 6.30pm. His results were 34,43,38,39,(44),30,36,29 with 50 countries competing in the Laser Radial Boys, it was the biggest fleet there. 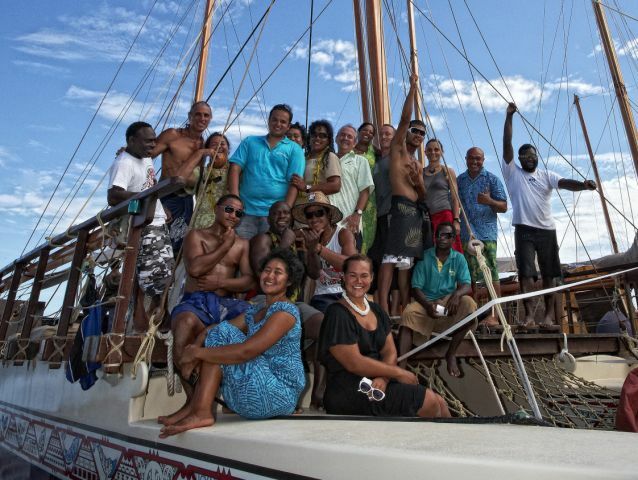 On behalf of Eroni, I would like to express our sincere thanks to the Samoa Sailing Association and the Apia Yacht Club for the opportunity and the selection of Eroni to represent Samoa to this prestigious World Sailing Championship, Special thank you to Raema for her time in helping put together the application and all the other forms. “Malo lava” to you both, Thank you Willie for assisting in the capacity of Team Manager at this event. It is very important that our sailors have this support and encouragement especially at these International events which at the best of times can be very daunting for the competitors! A special “Congratulations” to you Eroni for all your training, effort & energy that went into preparing for this event. I know you trained hard for this event and I am sure you felt allot more confident competing in this, your second Worlds Championship, as you were better prepared- well done! We watched your “live” interview on the opening day and we were very proud that you were representing Samoa and carrying our flag at this prestigious event. 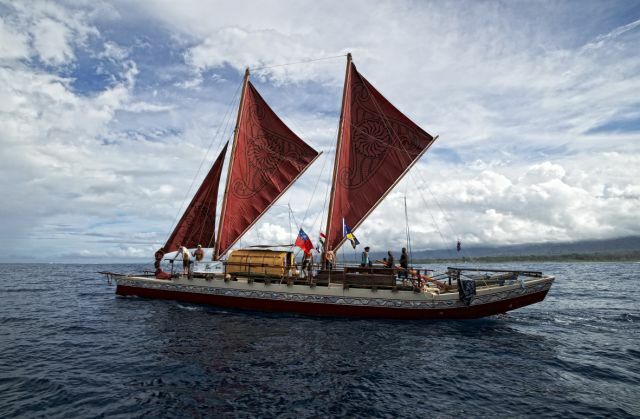 and 3 support boats arrived into Samoa Waters on Saturday 12th June. First landing Point was Sinalei Resort before mooring at the Apia Marina. AYC held a BBQ Night on Tuesday 15th. Photos and links below to learn more about their adventure. 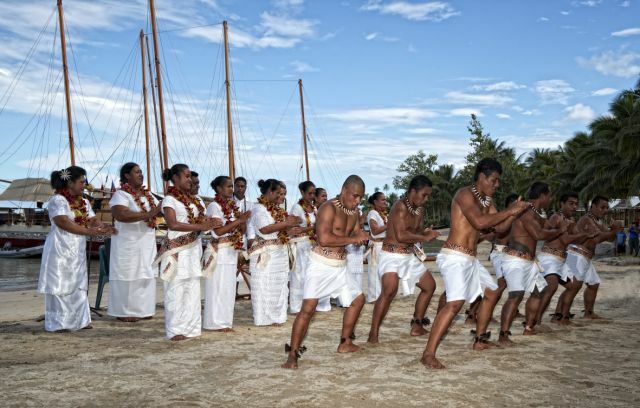 Samoa Sailing Association was allocated a leg of Queens Batons Run. 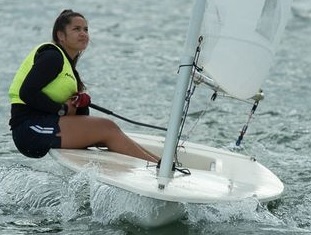 This was taken up by one a AYCs Laser Sailors Olivia Hogarth. 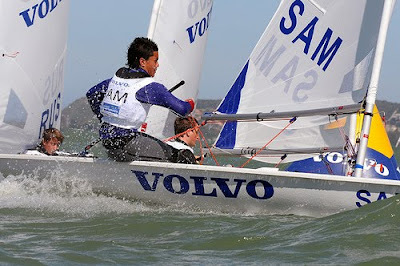 Dedicated to Sailing in Samoa, we offer a range of social sailing & Traning from Optimists, Lasers & Hobie 16ft classes. The Club is located 2 Minutes away from Apia Central, Capital of Samoa. Along the Mulinuu strip on the East Coast of Upolu Island. Sailing is currently held within the reef in a dept of 1-3 Meters mostly on weekends. Since 1994 when Apia Yacht Club first received several Optimists, which had been kindly sponsored by Epiglass through the passionate efforts of Jim Stephens of New Zealand. After the 2007 South Pacific Games a large fleet of new Lasers become available and opened the up our Laser classes. 2009 Sailing season started with a goal to promote Hobie Cat sailing to take advantage of the equiment made avaiable by the South PAcific Games 2007. Sailing Season is usually from April-November after the cyclone season.